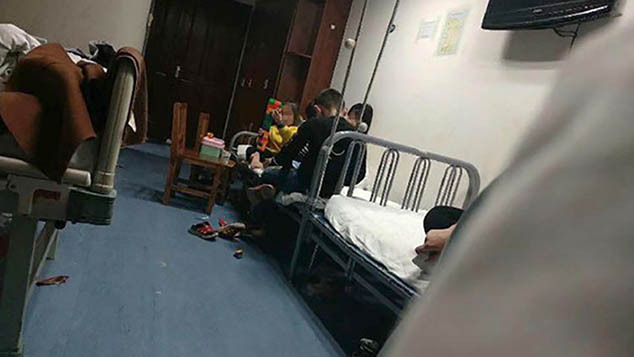 Eight people responsible for food safety at a renowned private school in Chengdu have been apprehended pending an investigation. Update: On Wednesday evening, Wenjiang District police said they had taken 12 people into custody for blocking traffic and disturbing social order. The individuals were released after “being educated” and “expressing remorse.” The police statement added that tear gas had been used “minimally” against those who had “seriously obstructed” law enforcement. 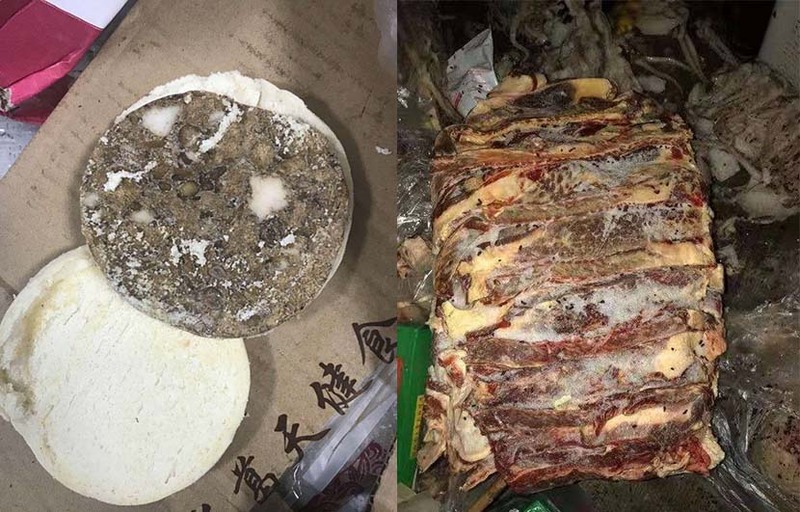 Education authorities in southwestern China’s Sichuan province have launched an investigation after a private school cafeteria was found to contain expired and rotting food, the provincial education bureau announced Wednesday. The day before, the Wenjiang District government in the city of Chengdu had received reports of food safety violations at Chengdu No. 7 Experimental High School. Videos and photos taken in the cafeteria and posted online by students’ parents show moldy, barely recognizable bread products and rotting, discolored meat and seafood. Sixth Tone’s phone calls to Chengdu No. 7 Experimental High School went unanswered on Wednesday. 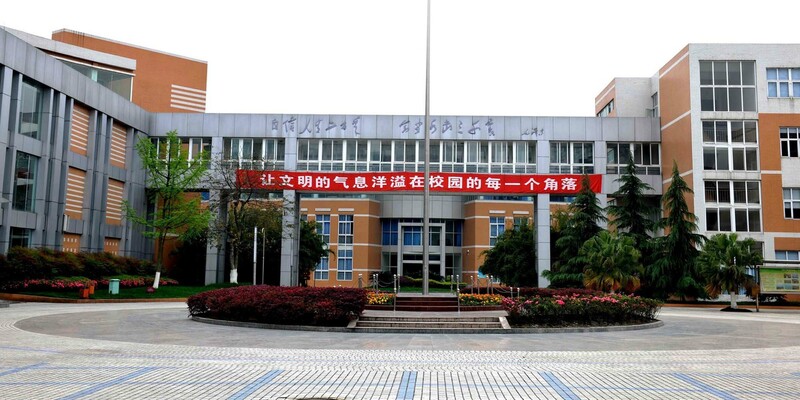 According to statements from the Wenjiang District government, eight people responsible for food safety at the school have been apprehended as part of a separate police investigation, while the cafeteria’s foodstuffs are awaiting further inspection. Doctors have been dispatched to the school to provide medical consultations to any students with abnormal symptoms. The food safety scandal has provoked strong reactions from people around the country. Posts with photos and videos of angry parents demanding answers are being widely circulated on Weibo, with a hashtag translating to “Chengdu No. 7 Experimental High School” having been viewed 270 million times as of Wednesday evening. By Thursday morning, the hashtag had been deleted. 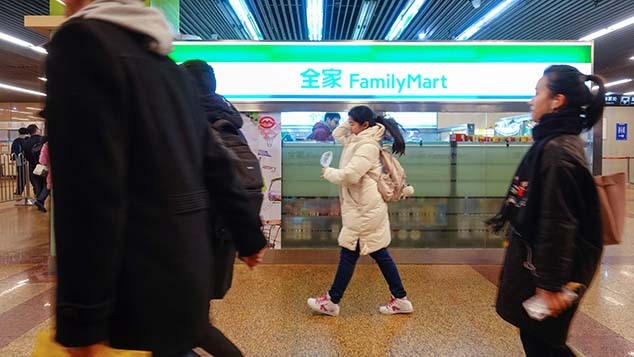 Asking not to be identified due to privacy concerns, a Chengdu-based parent told Sixth Tone on Wednesday that she was worried about her child’s safety. Though her child isn’t a student at Chengdu No. 7 Experimental High School, she said she’s no less anxious: The private school at the center of the scandal had a good reputation in the local community, she said, and admits only the most outstanding students. Since news of the scandal was first reported, public and private schools throughout the province have initiated inspections of their own cafeterias. The food supplier for Chengdu No. 7 Experimental High School caters to over 100,000 students in Sichuan, according to its official website. In a notice on campus food safety published in March, China’s Ministry of Education said that school employees must be present during students’ mealtimes to help deal with any problems that might arise.